We strive to help our patients enjoy lasting, natural smiles, but sometimes a tooth extraction can actually increase a patient’s oral health. At Mason Dental – Cosmetic & Family Dentistry, we will remove a tooth that has become infected or severely decayed, if that tooth is a threat to your other teeth or to your overall well-being. When your tooth becomes severely infected, the infection may spread to other teeth. In some cases, a serious tooth infection could put you at risk for other serious health problems. We may also remove your wisdom teeth before they erupt if we feel that it’s likely your wisdom teeth will become impacted. At our practice, we provide professional extractions with gentleness and compassion. We understand that getting teeth pulled can be a scary. We will do everything we can to make sure you are comfortable, and to make the process easier and more stress free. Protection | Tooth removal can protect you from infection and other tooth issues. We can also protect your other teeth from becoming infected so you won’t need to have multiple teeth pulled. Hygiene | A tooth extraction can clean and remove bacteria that could have a harmful effect on your health. Relief | Often patients who need a tooth removal experience a severe chronic toothache. A tooth infection alleviates the toothache and provides relief. When you come into our office for a tooth extraction, we will remove the tooth quickly and efficiently. We will begin the procedure by numbing the area around the tooth. You might feel a little bit of pressure when the tooth is removed, but you shouldn’t experience any other discomfort when you come in to have your teeth pulled. Once you have your tooth pulled, we will give you special care instructions, and we will discuss your restorative options to replace the tooth that has been lost. Whether or not wisdom teeth need to be removed depends on a patient’s individual circumstances. With our digital x rays, we have the ability to see your wisdom teeth before they’ve erupted, and to ascertain whether a wisdom teeth removal will be recommended. Our wisdom teeth removals and all our oral surgery procedures are performed by Dr. David White right here in our office. 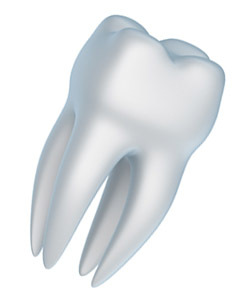 To find out more about our tooth removal procedures, contact us at our office today. Dr. Mason and his team can make tooth extraction easy and comfortable for residents in the Grapevine area, including Colleyville and Southlake.